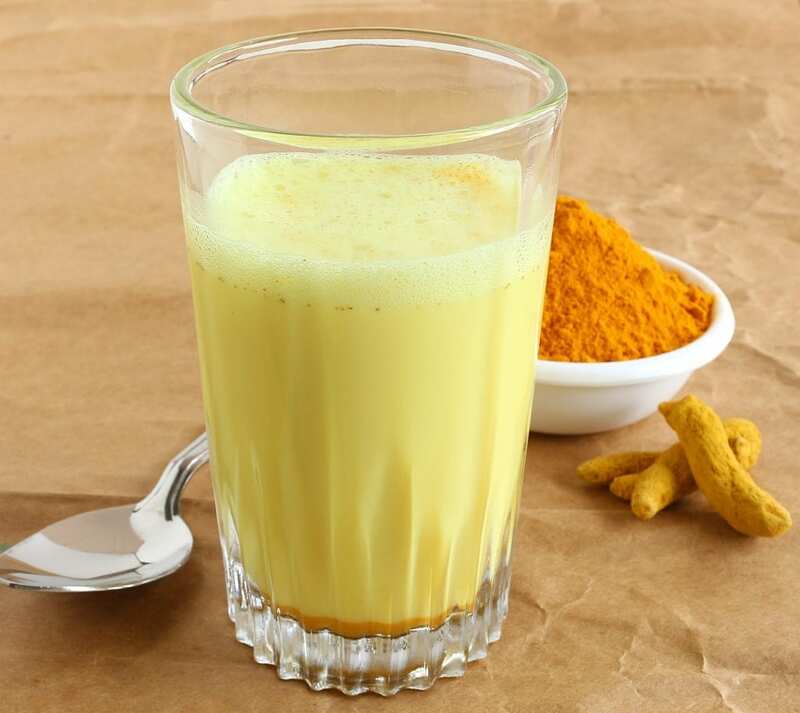 Golden spice chai, Golden grind, Golden milk/ Mylk or turmeric latte – an unlikely combination of milk and turmeric root – is 2016’s drink of choice.”golden milk” is among the top online searches associated with the spice. Turmeric lattes are now being sold at cafes from Sydney to San Francisco, and the drink is gaining fans in Australia. The taste when balanced with a chai spices is very enjoyable , creamy smooth brew with the subtle blend of chai spices . A perfect way to increase turmeric and other chai spices into your diet if curries are not your thing. The brew can be made with hot water or any milk. It is a pleasant way for health-conscious diners to get a fix of turmeric. At first, it seems an odd concept. Turmeric is mostly known as a curry ingredient that leaves indelible yellow stains on appliances and fingernails. And, save for the aeration and the artistic lashes of cinnamon, the turmeric latte bears little similarity to its caffeinated namesake. Watch Liz and Emma from My Market Kitchen brew the perfect cup of our Golden Spice Chai. << click on the link to buy! Add 1 teaspoon of the Golden spice chai spices to the heated milk, brew for 2-4 minutes depending on how strong you like it. History seems to have filtered into the turmeric latte’s current run of success. It is promoted for its health benefits – as an anti-inflammatory and an alternative to a caffeinated drink – it is particularly popular with customers in the mornings. Made from 100% ayurvedic chai spices which includes; Turmeric Alleppey, cinnamon, fennel, ginger, cloves, cardamom, pepper,and fenugreek. Our blend is made from whole and ground spices to give the best flavoured brew.